Air New Zealand completed the first flight approved for 330-minute extended twin-engine operations (ETOPS), flying a 777-200ER powered by Rolls-Royce Trent 800 engines. The December 1 flight departed from Auckland, New Zealand, and landed in the Argentinian capital Buenos Aires about 12 hours later. The 330-minute ETOPS authorization allows Air New Zealand to fly its Rolls-Royce-powered 777-200ERs up to 330 minutes from diversion airports, which facilitates more direct flights, lower fuel burn and less emissions. The first flight marked the completion of configuration and operational requirements set by the U.S. Federal Aviation Administration and the New Zealand Civil Aviation Authority. 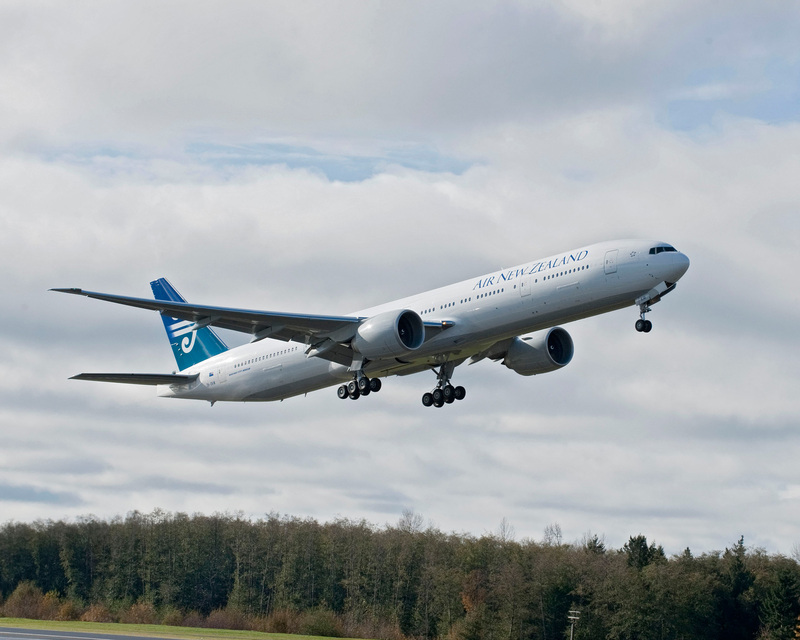 “We are pleased to mark this milestone with Air New Zealand, a valued Boeing customer, which has led the industry on ETOPS approvals for decades,” said Elizabeth Lund, Boeing 777 program vice president and general manager. Boeing announced in December 2011 that it had received type-design approval from the FAA for up to 330-minute ETOPS for the 777, initially for General Electric GE90-powered 777s. The manufacturer won FAA approval for 330-minute ETOPS on the Boeing 787 Dreamliner in 2014. Air New Zealand started 240-minute ETOPS flights with the 777-200ER and Rolls-Royce Trent engines in October 2014. It flew long-range routes for a year before being granted the 330-minute approval last month.